Nice article, John. 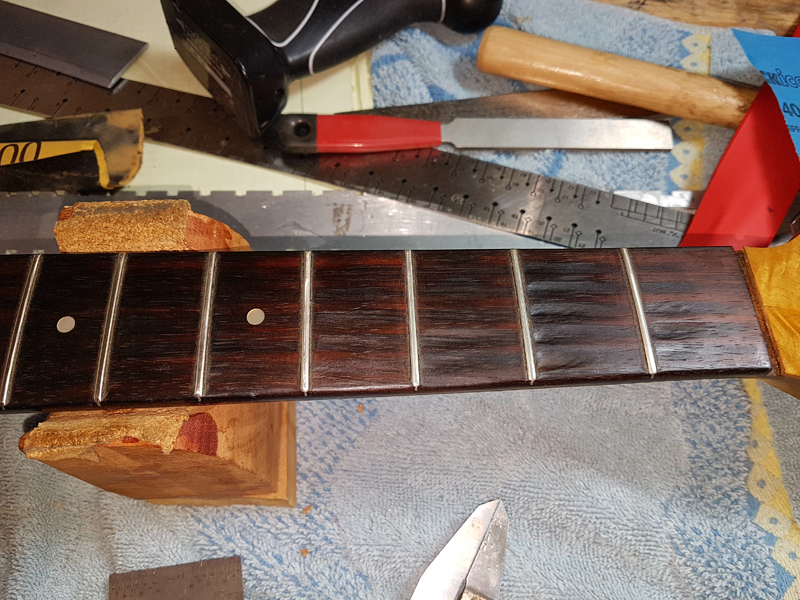 When you condition the surface of the fingerboard after fret removal, do you ever run across a situation of sanding through the pearl? I'm presuming radiussing means taking the pearl down, too. Thanks for the article! What do you use to fill the fret board divots? Thanks John! 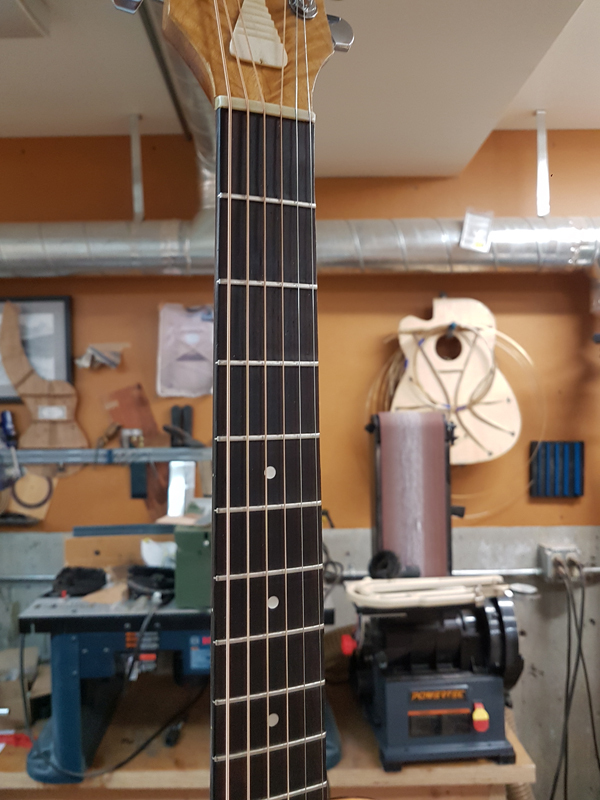 The method is really clever working fibers from the bottom of the divot up to the fretboard plane and filling both underneath and around with end grain sanding dust. The color did not really change just the picture and a bit of finger board oil, I only did the top four fret locations. I checked out the example Mr Ford posted (http://www.frets.com/FretsPages/Luthier/Technique/Frets/FBoardDivot/fboardivot.html). Very interesting. The board looks nice right after completion. How durable is the repair?